Six interlocking lives – one amazing adventure. In a narrative that circles the globe and reaches from the 19th century to a post-apocalyptic future, David Mitchell erases the boundaries of time, genre and language to offer an enthralling vision of humanity’s will to power, and where it will lead us. Ok, let me start by saying that I’m not sure I’m David Mitchell’s target audience here. I think Cloud Atlas is for people looking for something artistic and daring, rather than a absorbing read that offers you a captivating story. Cloud Atlas consists of six stories, and while they are interlocking in a way, the threads linking them together are very thin. When I think about this novel now that I’ve finished reading it, I visualise it as six completely different stories, and only three out of six of them really caught my interest. Those were Half-Lives – The First Luisa Rey Mystery, The Ghastly Ordeal of Timothy Cavendish, and the dystopian tale called An Orison of Somni-541. The reason I enjoyed reading those three stories is because, admittedly they were written in a way that was easier to digest with more familiar language, but also because something interesting actually happened. The book is written in a format that presents you with the first part of each story one after the other, and then the second part of each story in the opposite order. So, it’s a bit like a sandwich, I suppose. This means that the story you start with is also the story you end with, and unfortunately this was my least favourite of them all. 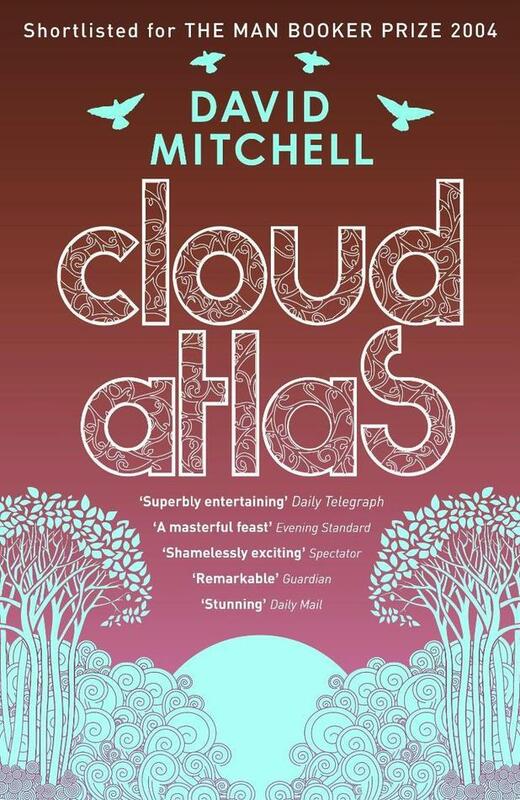 It’s clear that what David Mitchell has done with Cloud Atlas is pretty damn clever, and like nothing I’ve ever read before. He’s dared to try something different, and while it seems to have impressed critics from the likes of the Guardian and The Times, I think it’s a little lost on me. I’m glad I read it, because it was a challenge and it offered an occasional intriguing treat, but I don’t think I’ll be rushing to read it again any time soon. Especially as it took me so long to read it the first time around! I think I will give the movie a go though. It’ll be interesting to see how they’ve managed to translate it onto the screen, that’s for sure. I’d be interested to hear the thoughts of other Cloud Atlas readers, though. Have you read it? Have you reviewed it? You can leave me a link in the comments section or let me know your thoughts. You can also get in touch with me on Twitter. Next time, I’ll be reviewing Lauren Oliver’s Pandemonium. After seeing the movie earlier in the year I feel desperate to pick this one up, but as of yet I haven’t seen a wordpress review that has given it more than three stars! Hm, definitely a bad sign. It sounds like such an interesting concept but maybe the author doesn’t quite pull it off! I haven’t seen the film yet so not sure how they compare. I think that my brain just couldn’t handle the complexity 😉 I would say that if you enjoyed the film it is definitely worth a shot.